Whichever Sandals Resort you stay at in St. Lucia, you’ll be able to use all amenities and services of the other two Sandals. 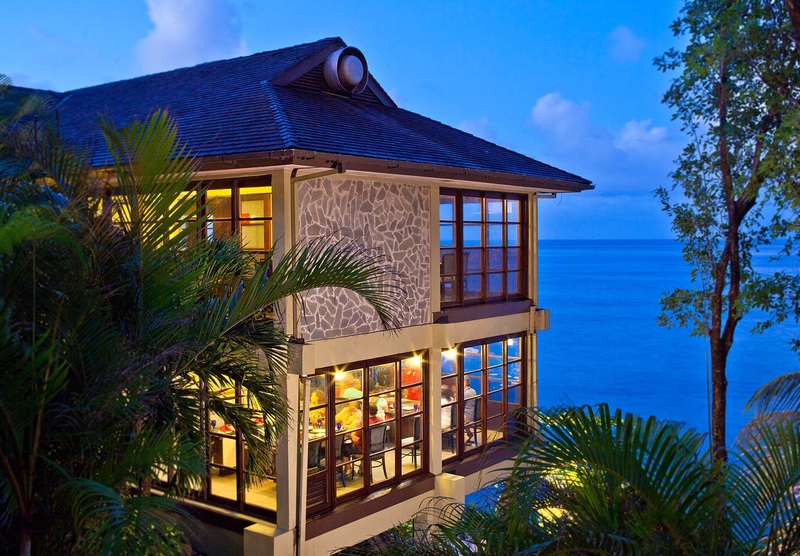 Sandals Regency La Toc is one of three Sandals resorts on St. Lucia in the Caribbean. 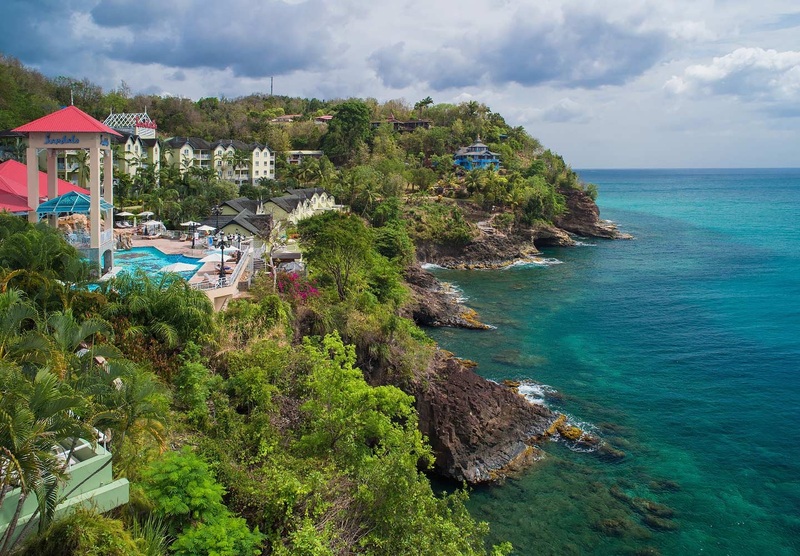 Located on a private cove beach in Castries, the resort features scenic cliffside suites, three pools, a nine-hole golf course onsite, and nine restaurants. 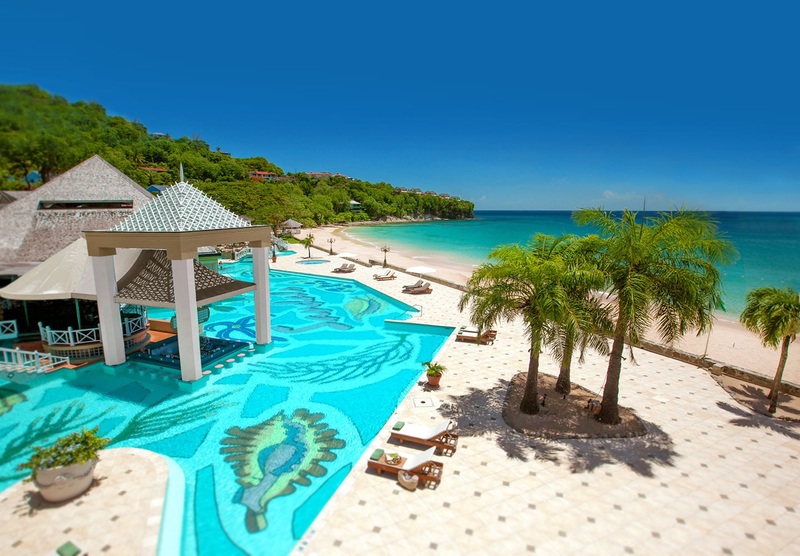 Sandals’ Stay at 1, Play at 3 program offers guests free roundtrip transportation between all Sandals resorts on St. Lucia. 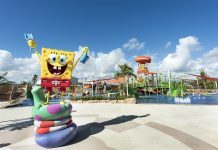 There are 331 rooms at the resort, split into four sections: Emerald Village, Pitons Village, Sunset Bluff Village, and the Millionaire Suites. Sunset Bluff Village offers great views from its cliffside location. Sunset Bluff Village is like a “resort within a resort,” featuring an italian restaurant, bar, pool with cascading waterfall, fitness center, and cliffside suites with butler service. Many of the suites in this category have private pools. There are nine restaurants at Sandals Regency La Toc, ranging from casual pizza and pub-style food to fine french and italian dining. You’ll find some of the Sandals’ regulars here, including Kimonos, Soy and Neptunes. The two-story Kimonos restaurant is tucked into the side of a cliff. 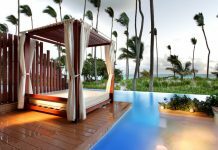 As with all Sandals resorts, unlimited land and water sports are free, including scuba for certified divers, and green fees at the golf course. For new divers, there is an introductory scuba program available for an additional fee. Services at Red Lane Spa are additional. Fly into Hewanorra International Airport, St. Lucia (UVF). It’s about an hour drive between the airport and resort. There is a Sandals lounge at the airport, and Sandals provides free shuttle transportation to the resort. 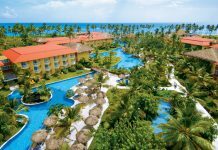 Check Sandals Regency La Toc’s website for more information.